If you’re looking for something fun to do, the mini masters program starts on Saturday! 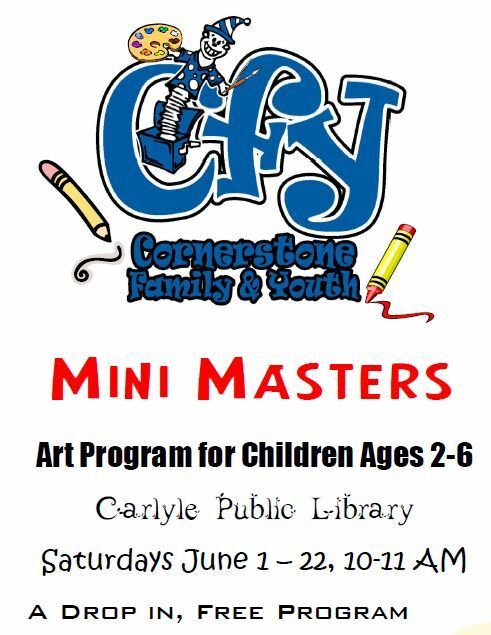 It’s from 10-11 at the Carlyle Public Library for kids ages 2-6 and their parents. Join us for an art project and fun games. Everyone welcome!